From papyrus scrolls and paintings on tomb walls, the stories of ancient Egypt survive today to illuminate this distant culture. 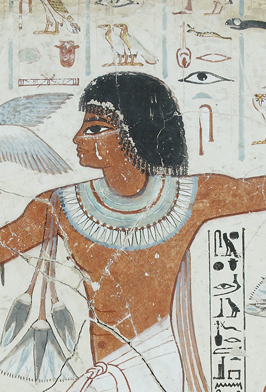 The myths reveal ancient Egyptians' views of nature, society, life and - most importantly - the afterlife. In addition to the myths recounting the elements of nature and their origins, Egyptian lore is filled with exciting adventures and epic quests.